1. King County Council member Jeanne Kohl-Welles, one of the original sponsors of the bill, rescinded her initial support to use $180 million in public money for Safeco Field upkeep and improvements. Instead, in a released statement Kohl-Welles said she will introduce an amendment to use most of that money for affordable housing and reduce funding for the Mariners to $25 million. Her decision followed a packed public hearing, and outcry from affordable housing advocates who want to see more investment toward the regional homelessness crisis. One of the key players in the Mariners' fight for taxpayer money? Joe Woods, a former adviser to King County executive Dow Constantine, The Seattle Times reported. The Mariners hired Woods, once a deputy chief of staff and senior aide to Constantine, as a lobbyist during three crucial months of negotiations. 2. U.S. District judge Robert Lasnik halted the release of blueprints for 3D-printable guns on Tuesday. Several other states joined Washington in its argument that 3D-printable guns would be impossible to trace, which makes them especially dangerous. Lasnik ordered a temporary retraining order until another hearing in Seattle for August 10. 3. A U.S. Senate committee approved a bill co-sponsored by U.S. senators Maria Cantwell, a Washington Democrat, and Jim Risch, an Idaho Republican, that allows more sea lions to be killed to protect salmon and steelhead in the Columbia and Willamette rivers. KNKX reported that the House has already voted to approve a version of the bill that raises the limit of how many sea lions can be killed below Bonneville Dam and Willamette Falls. Opponents to the legislation say the sea lions are being used as scapegoats for human-caused problems like fishing and habitat degradation. 4. Efforts to save the Showbox are ramping up through Seattle City Council. Kshama Sawant last week announced plans to sponsor legislation, expected to be introduced today, that would help the building get a landmark designation and expand the Pike Place Market Historical District. 5. The motorcyclist confronted by an off-duty King County detective with a gun last year is suing the county and detective alleging excessive force. The King County Sheriff's Office internal investigation determined that detective Richard Rowe did point a gun at the motorcyclist, Alex Randall, but didn't use excessive force. King County sheriff Mitzi Johanknecht suspended Rowe for five days, which was half the recommended suspension by the internal investigation unit. 6. A survey focused on workplace harassment showed that among city employees' concerns, bias and retaliation topped the list, Crosscut reported. The survey, administered by the Seattle Office for Civil Rights, found that city employees have a lack of trust in human resources and management, fear of retaliation for speaking out, perceived a lack of transparency, and perceive a bias in hiring and promotions. 7. Crosscut reported that a lawsuit filed in U.S. District Court for the Western District of Washington by immigrant-rights organizations and a dozen individuals accuses president Donald Trump's administration of mishandling the travel ban. The lawsuit said people traveling from Muslim-majority countries subject to the ban are being denied waivers without an explanation. Waivers should be granted if denying entry would cause undue hardship and pose no threat to U.S. national security. 8. King County's Department of Defense interim director Anit Khandelwal is facing backlash for publicly opposing the county's new youth jail. Crosscut reported that Khandelwal, who is now vying for the permanent position, stirred up tensions in the county. Council member Dave Upthegrove refused to meet with Khandelwal after she made her stance on the youth jail public. Khandelwal said King County executive Dow Constantine and prosecuting attorney Dan Satterberg also made it clear that they would not support her appointment. 9. The mourning of the orca, J35, drew international attention and prompted the task force on orca recovery, created by governor Jay Inslee to meet this Tuesday. The orca mother carried her dead calf for 10 days and refused to let it go. 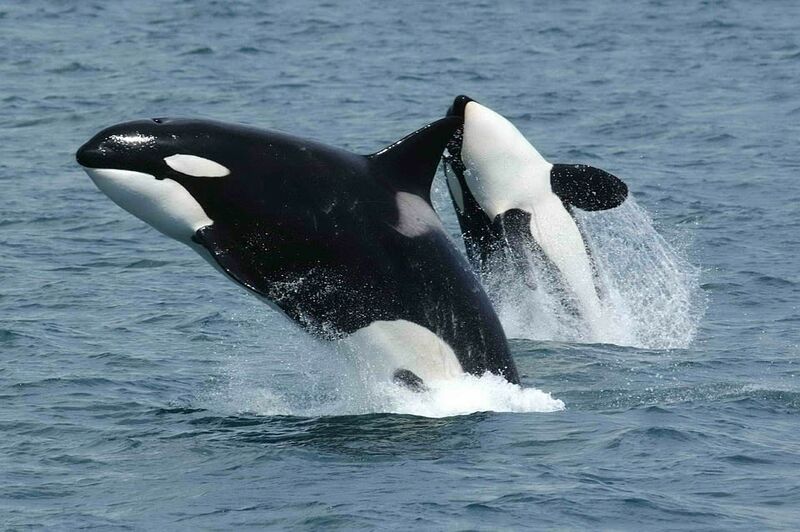 The Seattle Times reported that only 75 southern-resident killer whales are left and starving. 10. Tuesday marks the state's primary election—if you want to vote, you need to have your ballot postmarked, put in a drop box, or returned to King County Elections by 8pm. The Seattle Times highlighted a few things to watch for on Tuesday. All eyes will be on the Eighth Congressional District race to see who will face Republican Dino Rossi in the November general election. U.S. representative Adam Smith faces a challenger, Sarah Smith, who hopes to ride the same wave as Alexandria Ocasio-Cortez in her campaign. Tuesday will also give some insight to what the state legislature might look like as the Democrats hold a narrow majority.